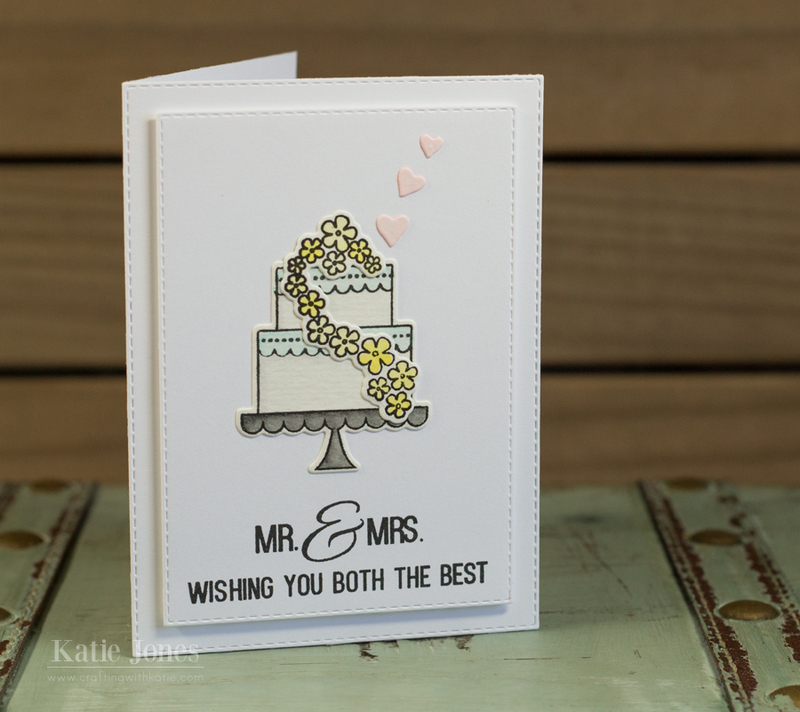 OH Miss Katie what a sweet and pretty Wedding card! I love your soft and pretty colors and I too love those 3 little sweet hearts floating!! Awesome creative job!! Katie your card is just perfect!!!!! LOVE today's sneak!!! This is a perfect card for a wedding! I love this stamp and die set! Thanks so much for sharing! Great card. Love this versatile new set! Beautiful card, Katie! Love the soft colors you used and how you kept the design simply elegant. So beautifu,Katie!! Pretty colors and i love the little hearts!!! This is such a pretty CAS card! I love the soft touch of colors. Great coloring with your brush pens. Love the beautiful soft colors. I agree...this is a must have set! Beautiful job on your card. Beautiful wedding card. 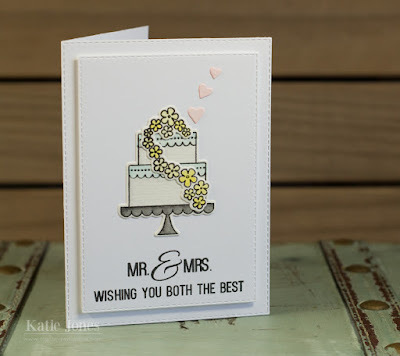 I also love the floating hearts and the soft colors you used on this great card. That is a gorgeous wedding card. Love the soft colors you used. This new set is just beautiful. What a sweet card! Love the little hearts floating above the cake. Fabulous job! this is a stamp set that will be used a lot. thanks for sharing a cute card. The coloring is wonderful. Beautiful with the flowers and the hearts. Such a pretty card. I am in love with the yellow flowers...okay and the tiny hearts...and ok...the cake. All of it! Thanks for sharing your beautiful card. Love your sweet MCT flowers. Those hearts floating out of the cake are a great touch. Darling card! Love that cake!